TORONTO – New champions were crowned in wrestling at the OntarioUniversity Athletics (OUA) championships on Saturday as the GuelphGryphons and Western Mustangs won the men’s and women’s banners,respectively, at the Tait McKenzie Centre in Toronto. The Gryphons tallied 78 points to claim their first men’s titlesince 2011, putting an end to Western’s two-year run as champion.The Mustangs did not go home empty-handed, however, as they wontheir first women’s championship since 2007 with 62 points andended the Brock Badgers’ streak of titles at six. The Badgers, whose teams entered the competition with the No. 1ranking in the CIS, finished second in both the men’s and women’sevents. Rounding out the top three were the McMaster Marauders onthe men’s side and the Gryphons on the women’s. Guelph won five of the 10 gold medals available in the men’s weightclasses to edge the Badgers by three points in the final standings.Tyson Frost was named the OUA’s most outstanding wrestler afterclaiming gold in the 82kg division with a perfect 3-0 mark in theround robin and a 3-1 win over Matrixx Ferreira from the Badgers inthe final. Also winning gold medals for the Gryphons were Jake Jagas in the76kg class, Ben Bradford in the 72kg division, Kevin Iwasa-Madge inthe 65kg division and Jeremy Latour in the 120kg division. Brock’s Sam Jagas was named the OUA rookie of the year afterwinning the gold medal in the 54kg class, while Guelph head coachDoug Cox earned the coach of the year award after leading his teamto the championship. Dylan Galloway from the Laurentian Voyageursearned the OUA community service award. In the women’s competition, Western had three wrestlers winindividual gold medals, one less than the Badgers, but edged thedefending champions by two points with more second-place finishes(three to two) as well as a pair of fourth-place results. Brianne Barry earned the OUA’s most outstanding wrestler awardafter winning the gold medal in the 55kg class. She was a perfect2-0 in the round robin and followed that up with a 4-0 victory inthe final over Karleah Bonk from the Lakehead Thunderwolves. Also winning individual titles for the Mustangs were Anna McKee inthe 59kg class and Larissa D’Alleva in the 63kg division. McKee wasnamed the OUA’s rookie of the year following her victory, and headcoach Ray Takahashi earned the coach of the year award. UrshianKhalid from the host York Lions was named the recipient of the OUAcommunity service award. In addition to reaching the podium, the top three finishers in eachweight class advanced to the CIS championships, which will behosted by the University of New Brunswick in Fredericton beginningFeb. 28. SASKATOON – For the second straight year, the University ofAlberta captured both the men’s and women’s wrestling titles at the2014 Canada West championships, hosted by the University ofSaskatchewan. The Alberta Pandas successfully defended the women’s title with aone point victory over the Calgary Dinos. Calgary did all it couldto knock off the reigning champion winning all but two bouts in thefinal round, but Alberta lost just one. 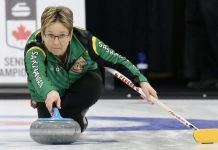 Regina finished third with24 points, while host- Saskatchewan earned 22 points and Winnipegrounded out the standings with 11 points. On the men’s side Alberta captured the banner with 45 points, whilethe Calgary Dinos finished second with 30 points and the ReginaCougars finished in third also with 30 points. Calgary finishedahead of the Regina in the team standings after the Dinos capturedtwo gold medals in the competition. Winnipeg (28) finished fourthand Saskatchewan (24) rounded out the standings. On the women’s side, all competitors finishing with the gold medalswent undefeated in the dual format Canada West Championship.Winning gold medals for Alberta was Amber Maschke (55-kg), MarlenFigueroa (67-kg) and Madison Beblow (82-kg), while Calgary alsoclaimed three gold medals with Kate Richey (51-kg), Temi Ogunjimi(59-kg) and Jessy Seida (63-kg) finishing first. Saskatchewan’sAnnie Monteith (48-kg) and Kristine Longeau (72-kg) were the othergold medalists on Day 2. On the men’s side, all but the 68-kg weight class were decided byundefeated wrestlers. Alberta’s Adel Taj took the gold in the 68-kgweight class after tie-breaking procedures. Alberta stood on top ofthe podium five more times on the men’s side. The gold medalistsincluded Melvin Arciaga (54-kg), Dylan Williams (57-kg), MichaelAsselstine (61-kg), Drew Belanger (65-kg) and Jason Margo (82-kg).Calgary’s Brian Hutton (72-kg) and Nick Proctor (90-kg), as well asWinnipeg’s Tahir Hamraev (76-kg) and Kyle Nguyen (120-kg) roundedout the other gold medalists for the men. The top three finishers from each weight class qualify for the CISChampionship February 28-March 1 hosted by the UNB Varsity Reds inFredericton, N.B. Individual awards were handed out following the competition. Undefeated second-year wrestler Annie Monteith (48-kg) fromSaskatchewan claimed the women’s wrestler of the year award, whileAlberta’s Dylan Williams (57-kg), who was also undefeated, claimedthe award on the men’s side. Rookie of the Year awards went to Alberta’s Melvin Arciaga on themen’s side and Calgary’s Temi Ogunjimi for the women. Both werealso undefeated in the tournament. For their outstanding athletic ability, contribution in thecommunity and classroom success, Winnipeg’s wrestler Kyle Nguyenand Calgary’s Jessy Seida were named CIS nominees for theStudent-Athlete Community Service Award. Nguyen claimed the gold medal in the 120-kg weight class. Hiscontributions in the Winnipeg community include working with teenswith the Healthy Youth Program for Everyone. He is also a strongstudent in the classroom. Seida, who claimed the gold medal in the 63-kg weight class, is astrong academic boasts a 3.93 grade point average. She is also aleader in the community volunteering to clean up Calgary after thedevasting floods in the summer of 2013. Seida is an active memberof the UofC Quiddich team and promotes the famous Harry Potter gamein high schools around the city. Taking Coach of the Year honours on both the men’s and women’s sideis Alberta fourth-year head coach Owen Dawkins. A former GoldenBears wrestler, Dawkins led the Golden Bears and Pandas tosuccessfully defend the Canada West titles. It is the thirdstraight year, he has won the award on the women’s side. Medal winners in each weight class now advance to the CanadianInteruniversity Sport (CIS) wrestling championships, February28-March 1 at University of New Brunswick in Fredericton.